The u-Jays headphones arrive in a hard cardboard box in just about the size of the headphones themselves. 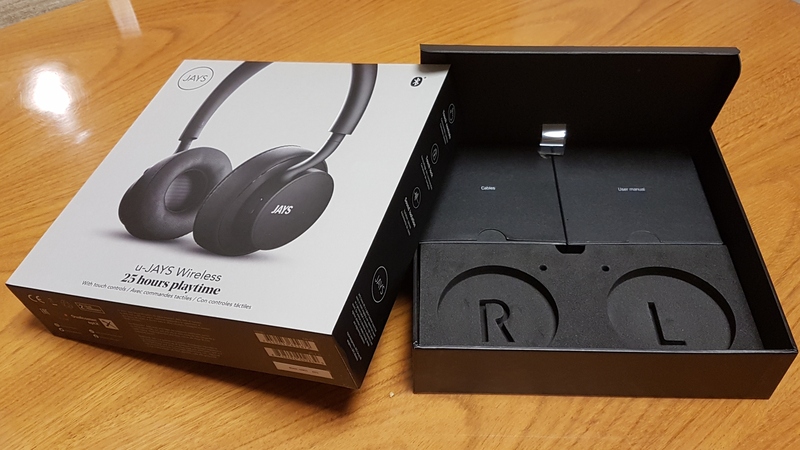 Under the upper cover, the u-Jays set sits with each side fixed on it corresponding labeled section and simply held by a plastic tie at the headband. 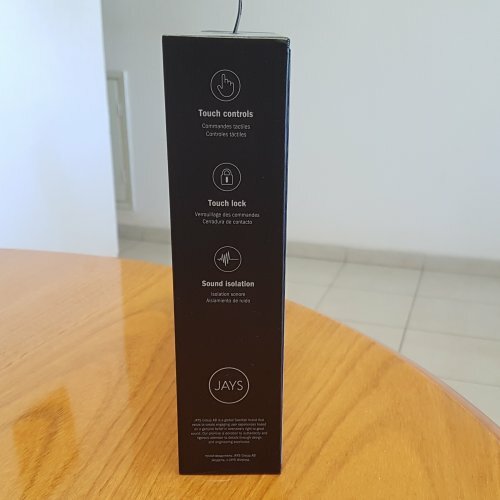 The inner box holds two small boxes for the multi-language manual and USB charging and audio aux cables. What's really missing would be a proper carrying case or at least bag for the portable use the u-Jays were meant to. 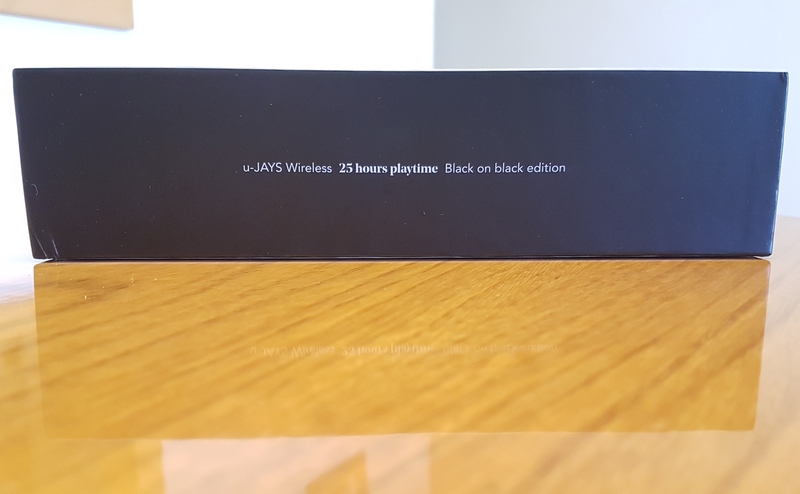 Upon opening the upper box cover, the u-Jays set strike with a very elegant design, and in this case in the all black color theme with a fine matte finish that looks really nice. Build quality is very good, solid yet proper for daily portable use. The headband mixes good plastic and metal materials and well covered by a wide silicone pad. This silicone covered headband is quite unique instead of the usual foam pad used on many portable headphones. The upper part is wider so it sits better over the head. 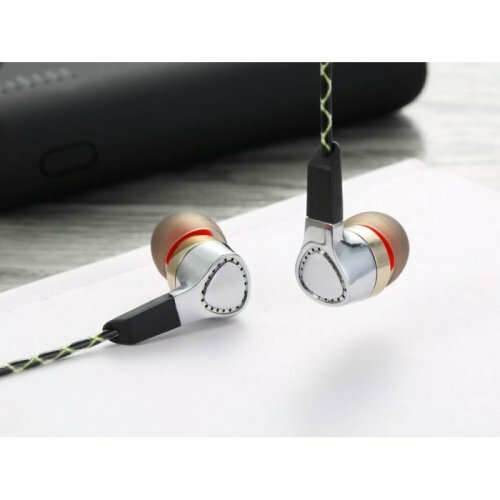 On the earcups side, the faceplates are plastic while surrounded by metal with a very smooth finish. 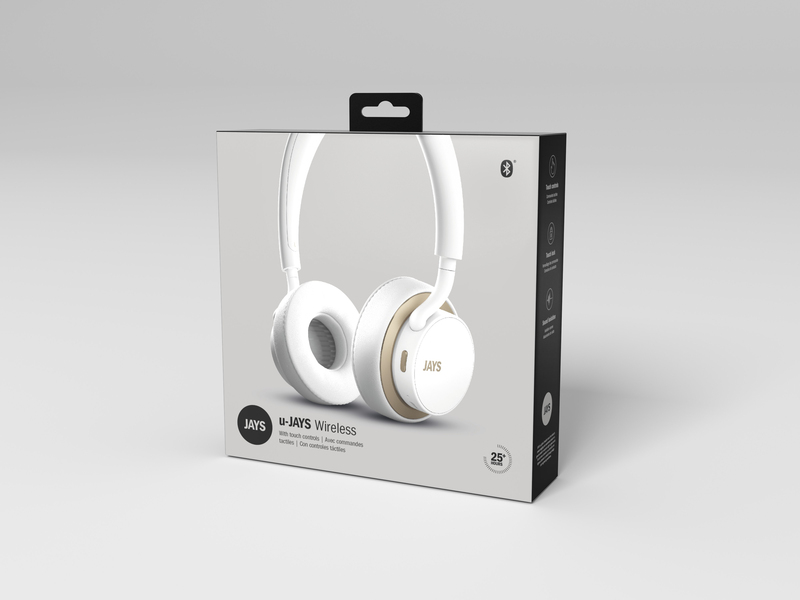 The ear cushions look of good quality too, made of soft synthetic leather material and soft foam inside. 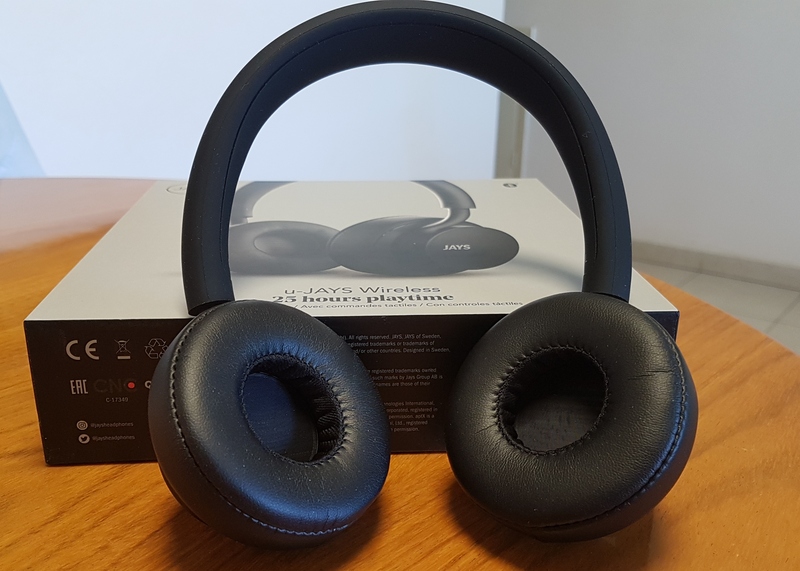 Advertised as using "viscoelastic" foam intended to get a better shape around the ears; whatever the case, they do work not worse than other good earpads. 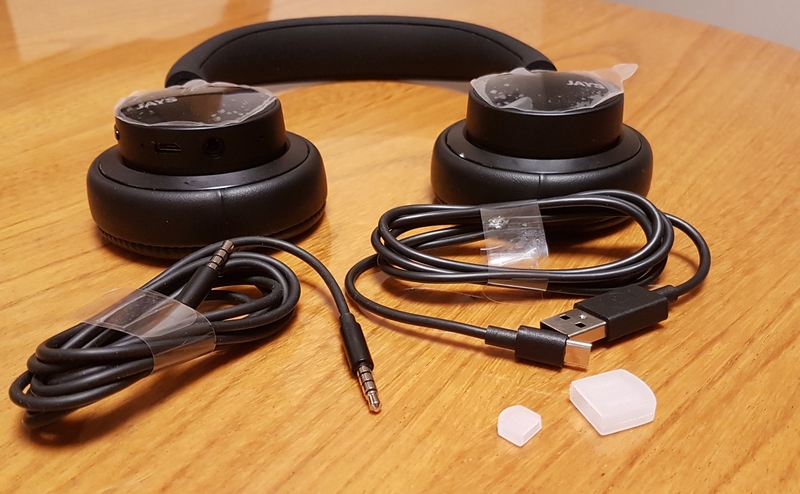 However, these 'ear cushions' have a very proprietary design - the pads alone are not removable, and instead the whole outer part needs to be removed by turning them. It can be drawback for some, especially those who like trying different pads. 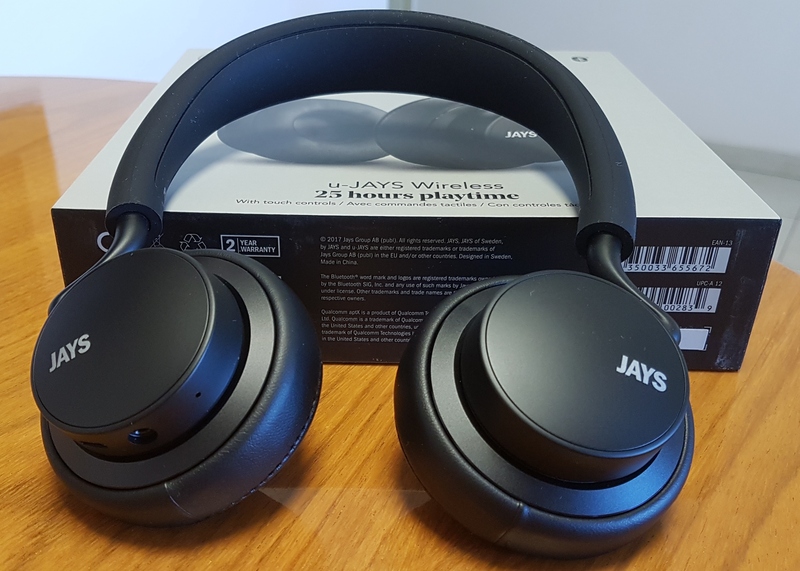 With the wide headband arc and soft pads the u-Jays sit fairly comfortable enough with low pressure on the upper part and over the ears; of course, not as a full size over-ear design, but no issues for at least 1 or 2 hours. 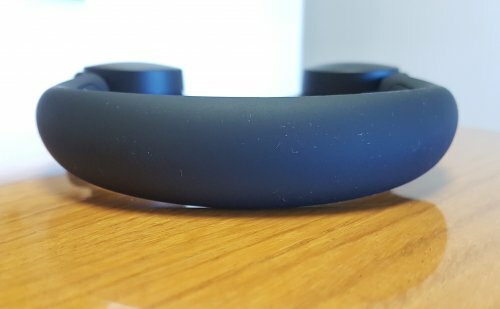 Even though, getting the best fit might be tricky at first with this silicone band, and also finding the right angle for the cups to provide the best seal. It wouldn't be too surprising if some people find the fit too tight or not comfortable due the silicone upper part. As for the cables, the charging USB cable is a standard micro-USB to USB (type A) one. 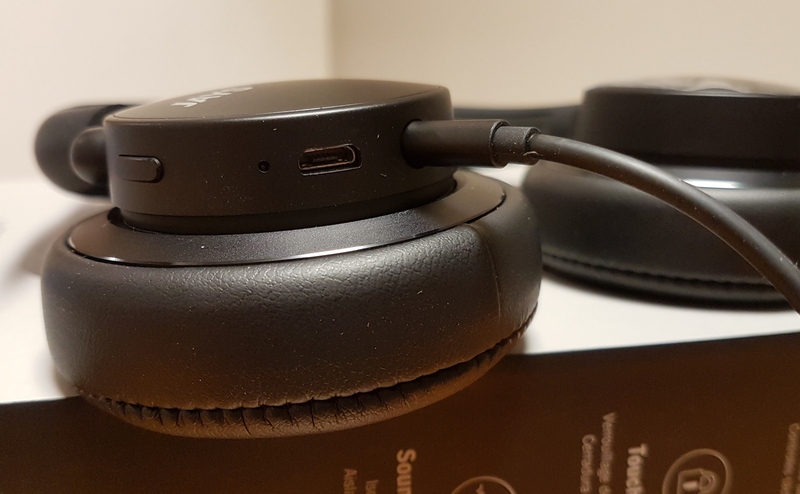 The audio cable is simple, with a TRRS 3.5mm straight connection on both sides, though thin in order to fit the more recessed socket on the right headphone side but well covered by metal on the plug part. 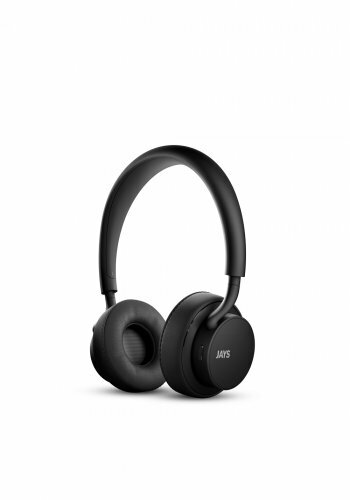 Obviously, the main reason to get this u-Jays option is for its Bluetooth wireless usage. First of all, all the playback controls are put on the right side cup, where the faceplate works as a touch pad once paired with the source. The u-Jays features the 4.1 Bluetooth version with aptX, and the connection is quite easy and quick with various players and phones I tried (even on lower Bluetooth 3.0 based phones). The wireless range is also good enough and doesn't suddenly drop. 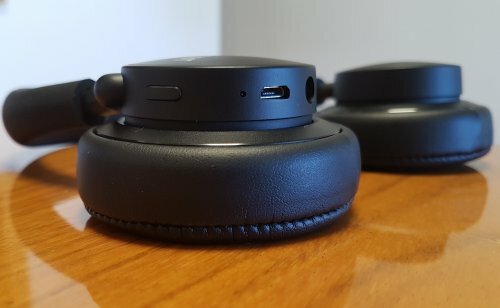 There is also a small button on the right cup for power on/off the headphones and also works as a lock when pressed twice; a short sound can be heard notifying the set is lock/unlocked. A single short press will also advise the battery status, high, medium, low. 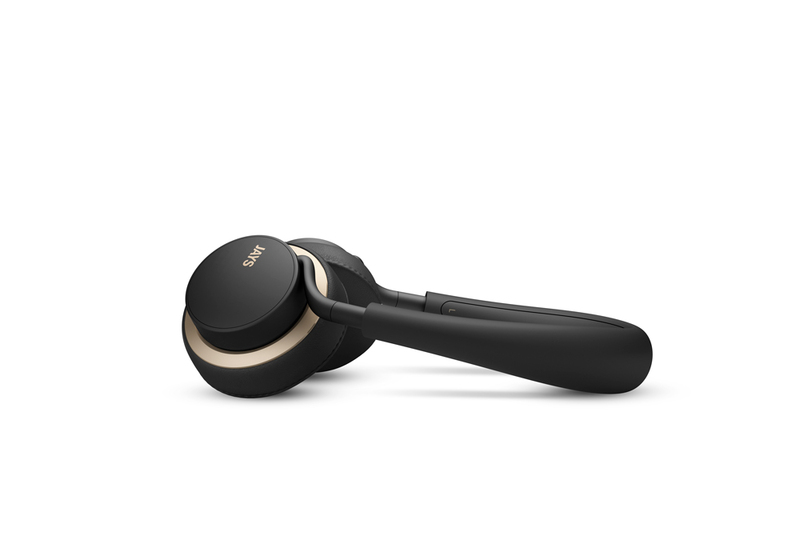 The touch control works well and it's also really comfortable to use. 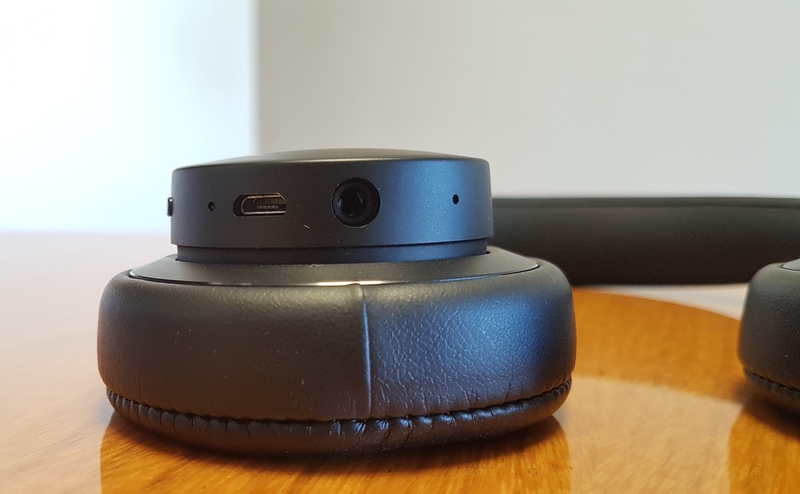 A single touch for play and pause, slide up and down for volume adjustment, slide right for next track and left for previous or beginning of the current track. The battery duration is high too. It is rated as holding for 25hrs of playback, and in practice it seems an accurate performance. 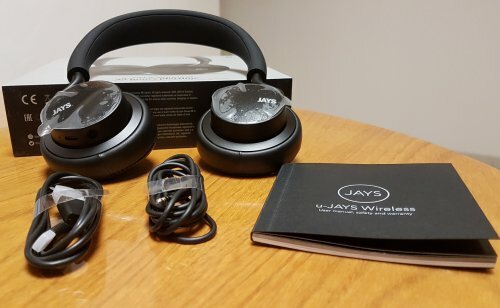 A key selling point of the u-Jays wireless, nonetheless. 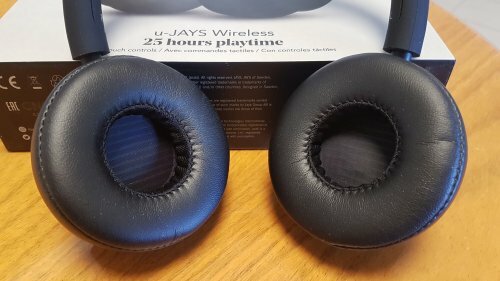 Volume can be set higher on the playing source and lowered on the u-Jays side in order to save extra battery time. 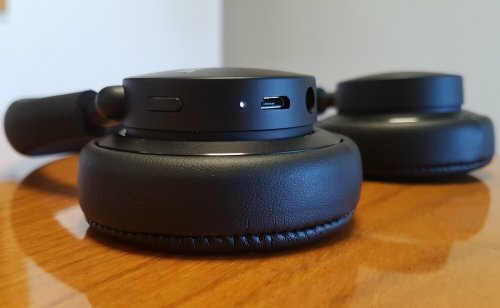 When battery level is low there will be a voice notification. Overall the u-Jays on-ear set offers a very engaging, full and rich sound. 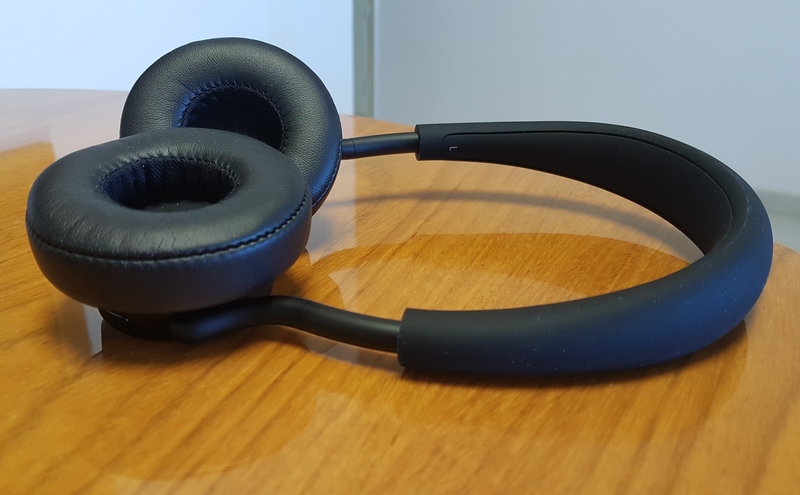 It has a warm tonality that is fun yet detailed and spacious, lively but not in a sharp v-shaped signature form, with a slightly dark tuning, smooth and well weighted and comfortable to listen. The fullness starts from the low end. The bass is response is really good, in a very enjoyable mix of quality and quantity. It is obviously the first part to notice on the u-Jays, full, powerful and energetic. The mid-bass region is definitely strong, not overpowered and nicely layered. 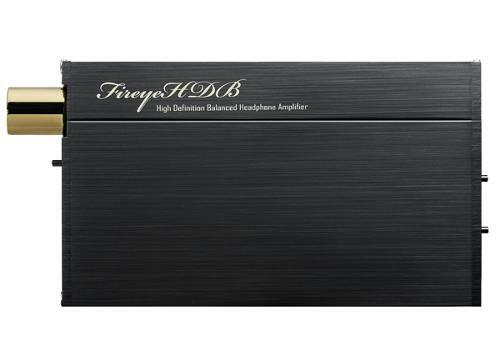 It shows good reach and extension on the sub-bass area, full of rumble and depth. Speed is about a bit above average, does not stand out, but cannot be called as slow. Attack is fast with a kind of more aggressive nature and has a smooth decay. 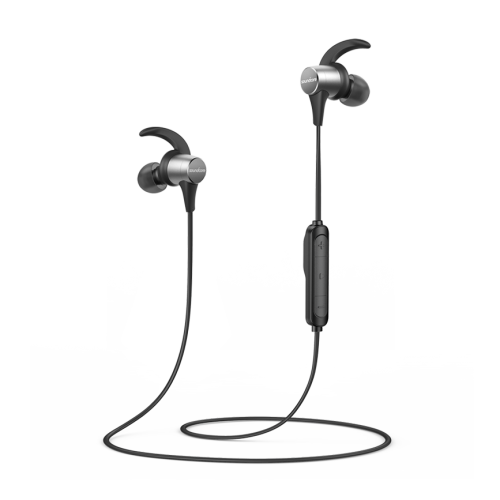 Moreover, dynamics is a strong point here and the whole bass is roomy and spacious for a closed-back design. Midrange is rich with a slightly sweet texture. Full as well, though not as much as the bass, and may take a very little step behind. 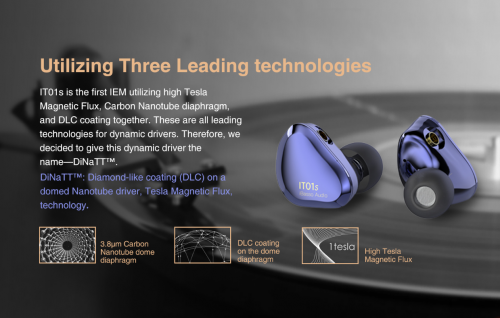 Thanks to the smooth bass transition to the midrange, lower mids sound clean and detailed, adding nice sense of warmth and fullness to lower instruments. 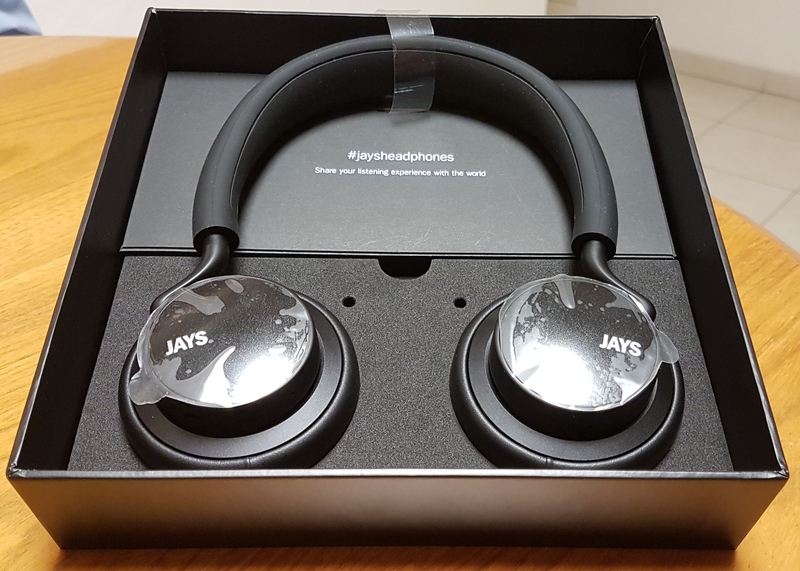 While transparency is not the true characteristic on the u-Jays, it is still a worth trade-off for the higher weight and richness of the midrange. On the other hand, the midrange is strong in a more natural and very musical texture that makes it very enjoyable and more forgiving. Separation is good but the presentation is not particularly airy for wind instruments, whereas vocals, mainly female, tend to stand out more, and while sweet, they are not completely smooth as there's a hint grain and lack of refinement towards the upper midrange. Treble is mostly smooth with a bit of laid-back nature. Not that is sounds off or missing quantity-wise as to give a real dark signature, just not as focused as the low end was tuned. Extension is decent if a bit rolled-off at the upper treble region, more relaxed and quite forgiving on recording quality. Personally I didn't find it lacking in sparkle or energy on the lower treble for most music genres, just not the best pick for those with a treble head or livelier v-shaped bias. 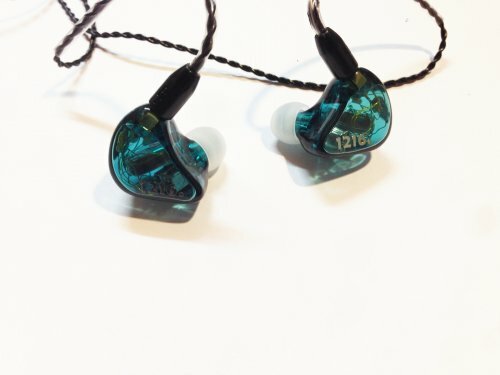 Stage is not too wide but does show nice depth and layering, and it is still a spacious and roomy sounding fully closed on-ear design. 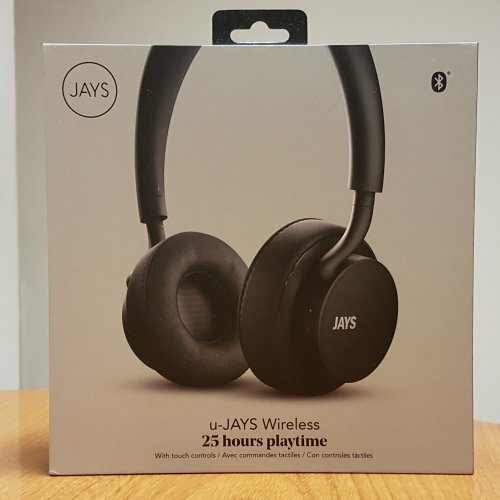 Simply put the u-Jays Wireless offer very solid in build quality and with a more premium and elegant look that doesn't give up on sound quality. The wireless Bluetooth connection is good and the battery holds long enough for daily use, with the touch pad control that is a really cool feature too. 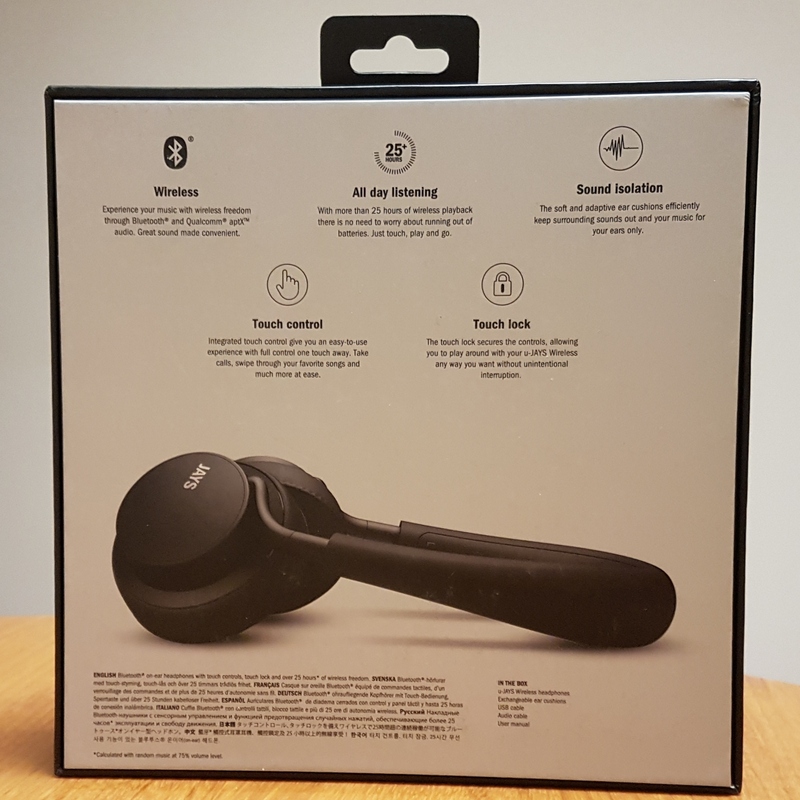 Sound wise, the presentation is very musical and very enjoyable, not only comfortable and easy to use but also to listen. rll953 and Crumblenaut like this. Very informative and concise review. It is on my shortlist, and there is not too much online about this model. So this review was very timely. Do you know if it supports aac besides the basic aptx?? Also what about the SPL? Fairly efficient? Thank you. 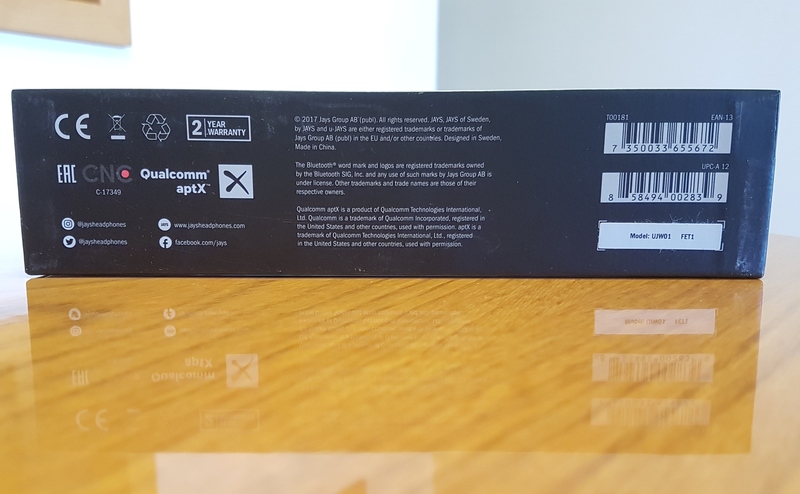 Not sure on the AAC support., and don't have any Apple device to test it right now. Okay. Thank you for the reply. The jay's website lacks alt of product details and specs compared to many others. But it appears the product quality and sound is good.